As the days grow longer and warm weekends are almost within reach (come on, London! ), we’re ready for Spring with two banging new flavours! 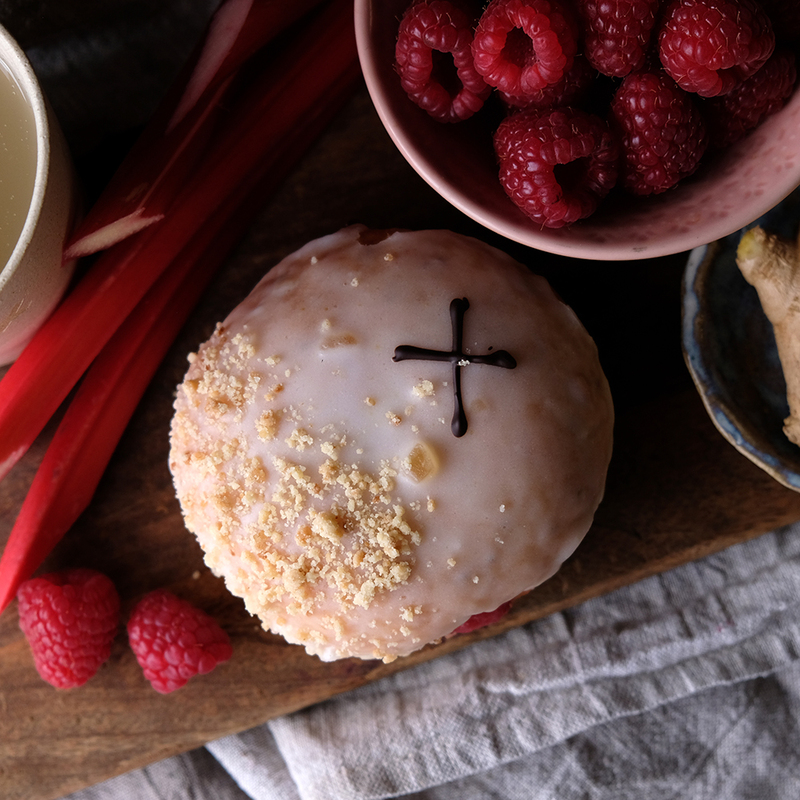 Our bakers have sourced some epic seasonal ingredients to deliver an all-new Rhubarb & Ginger doughnut, hand crafted using our vegan sourdough and fully plant-based ingredients. 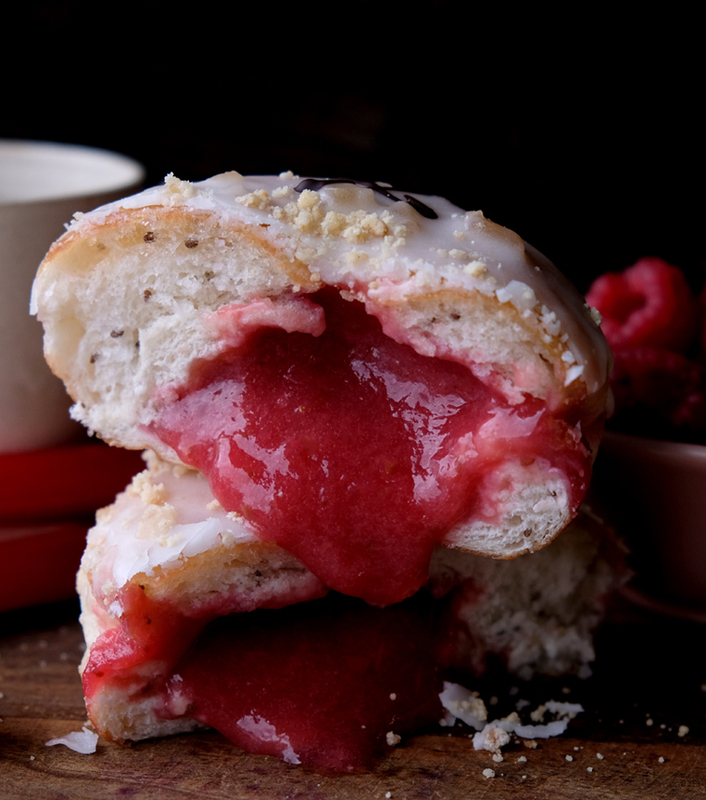 Each doughnut is filled with a refreshing compote made from locally sourced British rhubarb and raspberries. 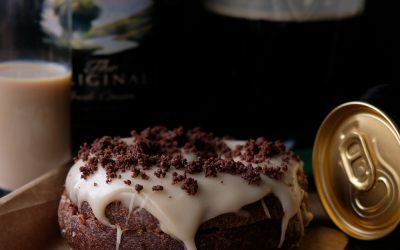 Next, they’re dipped in a warming ginger glaze made with fresh ginger, Karma Cola Gingerella and crystallised ginger pieces, then finished with our home-made Tongan vanilla bean crumble. 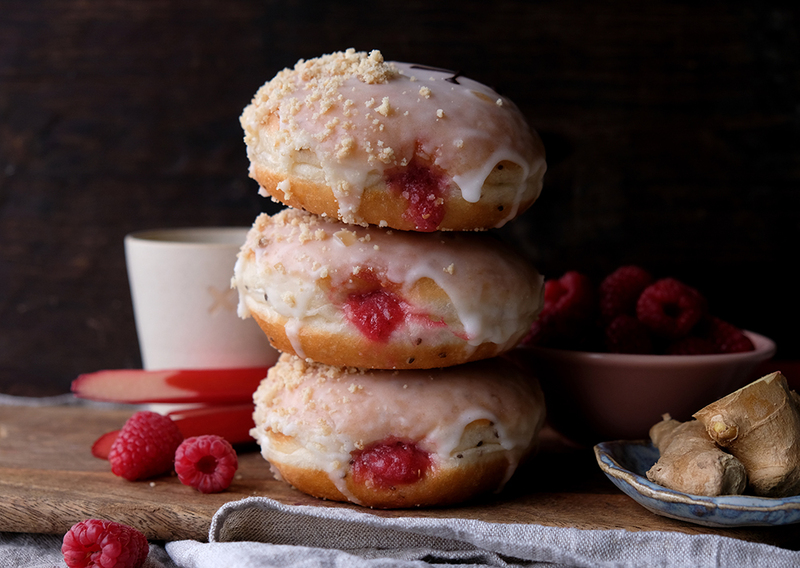 We’re excited to introduce this new flavour as part of our seasonal and vegan boxes, but with seasonal ingredients it won’t stick around for long! 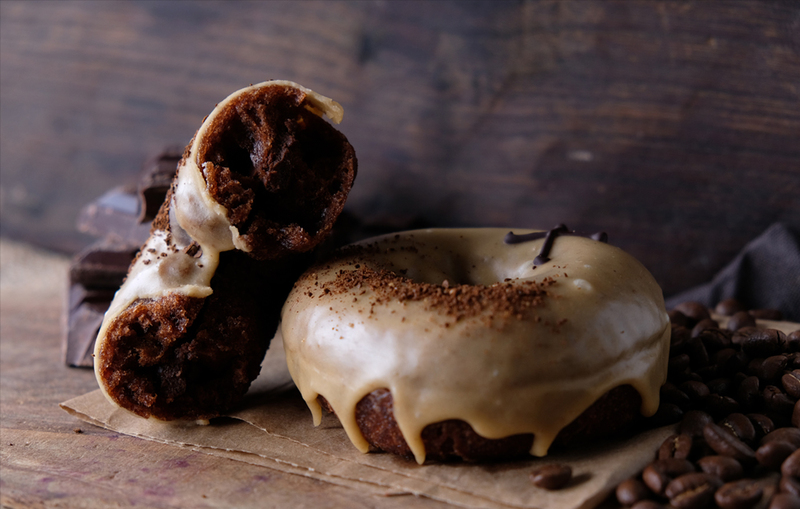 For the second new flavour, we’ve teamed up with our mates over at Caravan Coffee Roasters! 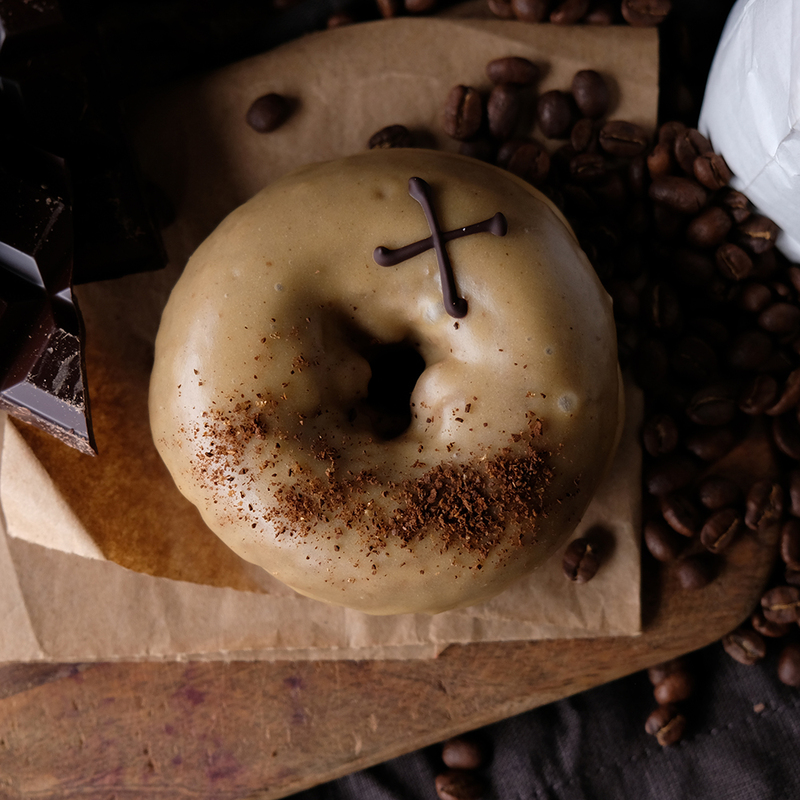 The Coffee & Chocolate doughnut features our home-made chocolate cake dough, filled with a layer of smooth mocha ganache, then smothered in hand crafted coffee icing, made using Caravan Coffee Roaster’s Fito Ruffatti bean for a real hit of fresh coffee. 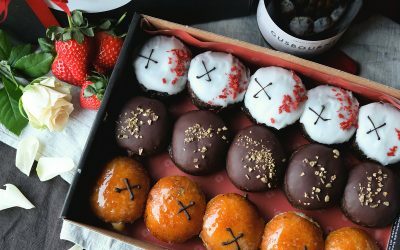 Both new flavours are now available in-store, online and on-demand here. The Fito Ruffatti coffee comes from the family owned farm, Finca El Salvador, which is huddled up on the Apaneca-Lamatepec mountain range. The farm employs 35 seasonal workers, and during peak season, there can be over 200 pickers on the farm at any one time, all of whom come from the local townships that surround the farm. The farm has been in the Ruffatti family for over five generations and this experience shows in the excellent cup quality of this lot. Tasting notes include clementine, apple crumble and dark chocolate in the finish.